Passengers using The Palm Monorail in Dubai can now board and alight at the newly-opened Al Ittihad Park Station for easy access to Palm Jumeirah’s central park, thousands of residences, and the Golden Mile Galleria Mall, master developer Nakheel announced today. Located at the heart of The Palm’s Al Ittihad Park, the station is close to The Golden Mile and within easy reach of The Shoreline Apartments. Around a million people already use The Palm Monorail each year, with the figure set to rise dramatically as more attractions open on the island. The number of Palm Monorail users has risen by 70 percent in the last four years. In 2013 there were 590,000 passengers, 685,000 in 2014, almost 878,000 in 2015 and a million in 2016. With around 3,000 people now taking trips each day, the number of passengers in 2017 is expected to exceed 1.1 million. 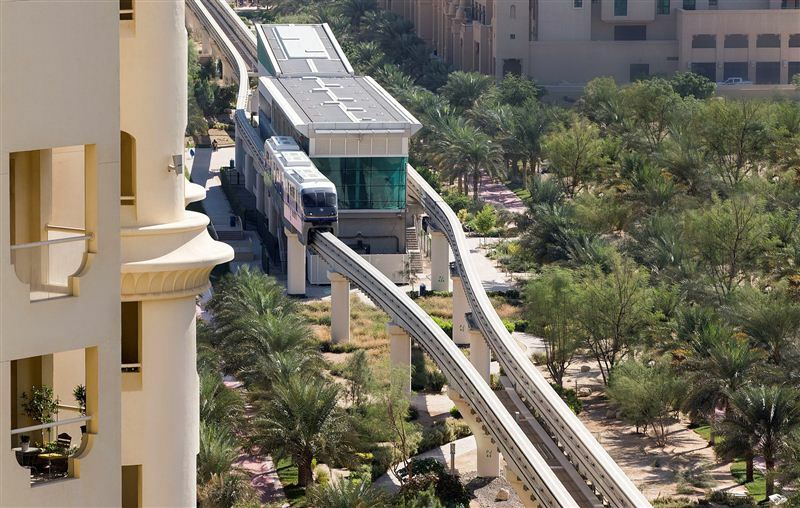 Nakheel Chairman, Ali Rashid Lootah, said, "The Palm Monorail is one of Palm Jumeirah’s biggest success stories. The opening of Al Ittihad Park Station is a massive boost for the island’s investors, residents, visitors and retailers, and further cements our commitment to providing new services and attractions at this world-famous community. More people than ever can now enjoy the growing number of facilities on Palm Jumeirah without using a car to reach them." The Palm Monorail, which opened in 2009, currently runs from Gateway Station to Atlantis Aquaventure, stopping at the new Al Ittihad Park Station in between.